fascinatingfoodworld: Mushroom and Spring Onion Barley Risotto!! Mushroom and Spring Onion Barley Risotto!! Just when I was thinking of what recipe to put next, Mom got barley from the market. 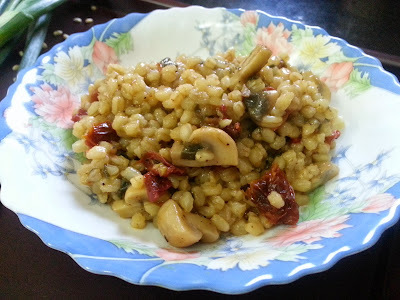 It instantly urged me to make risotto using barley! Pearl barley is barley with its husks taken off. Its a healthy high fiber, high protein whole grain having numerous health benefits. Once cooked, barley has a chewy and nutty texture which is an ultimate comfort food. In India, pearly barley is commonly known as "ghooghree". My Mom makes delicious kheer also with it which is to die for! You can substitute rice with barley to make pulao or serve cooked barley with stir fried vegetables or curry. Risotto is an Italian dish. 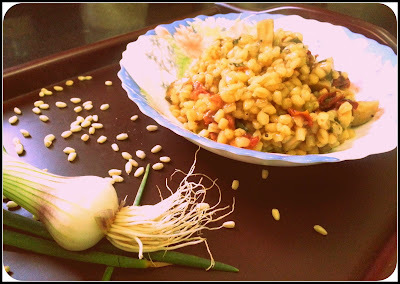 Traditional risotto recipe calls for Arborio rice but I was keen on trying with barley. I like simplicity in food so haven't added too many ingredients. Normally risotto requires adding one ladle of water/ veg stock at a time till the time rice soaks all the liquid but I am getting married soon so didn't have time to stand by the burner the entire time. 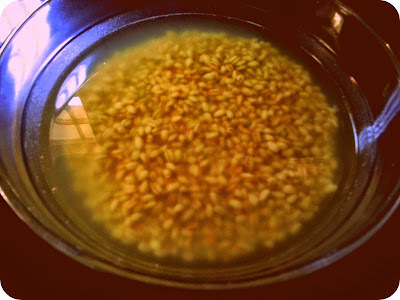 Soak barley in water overnight. More you soak it, lesser will be the cooking time. In a separate small bowl, soak some sun-dried tomatoes in warm water for an hour. 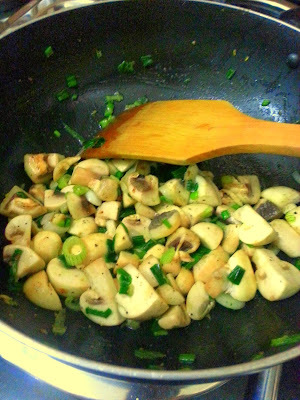 Melt butter and olive oil together in a saucepan/ wok, add minced garlic and cook it for a while. 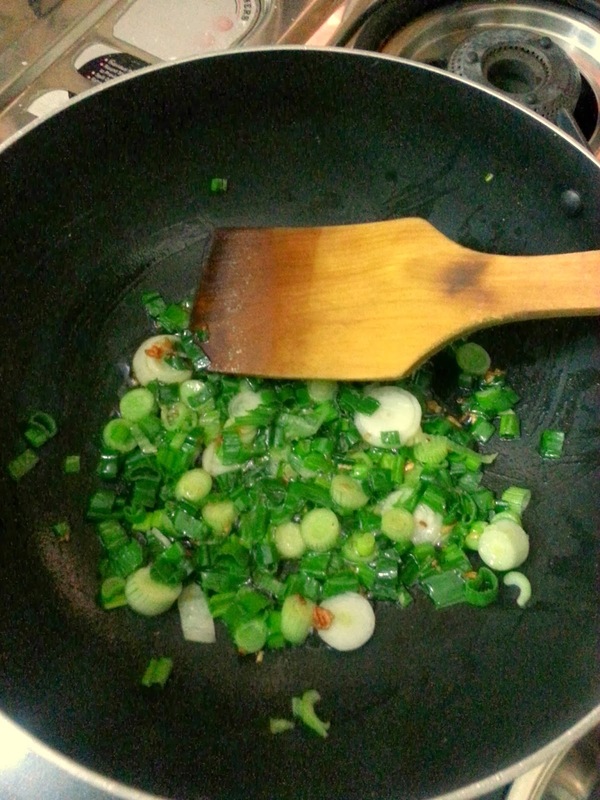 Now add spring onions and cook for further 5 minutes. 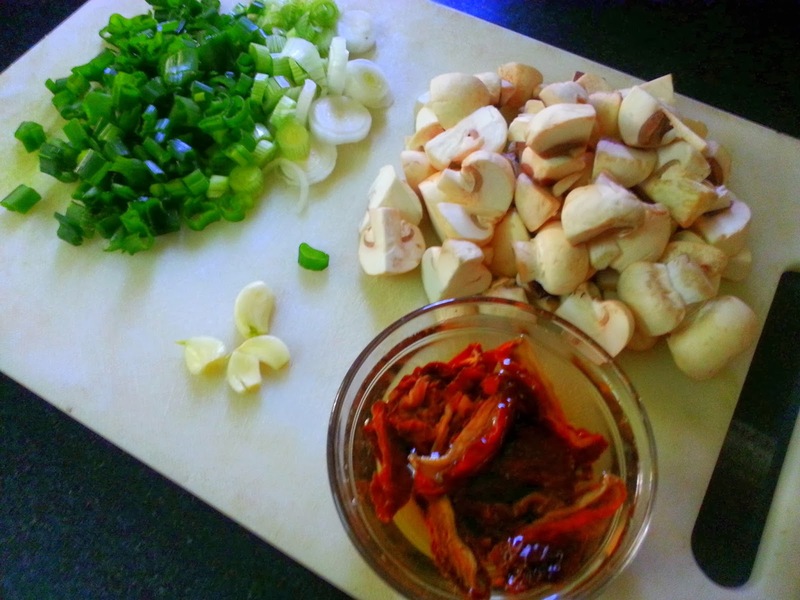 Now add mushrooms, salt, pepper and cook till mushrooms wilt ( reduce down and leave water). 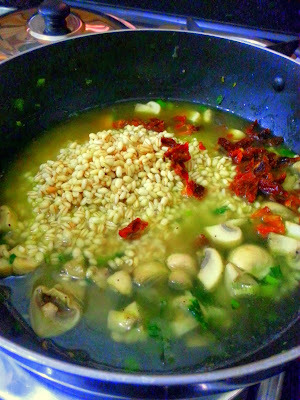 Now add barley, 2 glass of water/ veg stock and chopped sun-dried tomatoes, cover with lid and let it simmer away till the barley is properly cooked. Keep checking and stirring in between. Once barley is cooked, add in juice of half lemon. At this stage, you can add butter and parmesean cheese/ amul cheese to make it more rich! Sprinkle good quality Parmesan cheese and serve hot! Sun dried tomatoes are available in all gourmet stores easily. 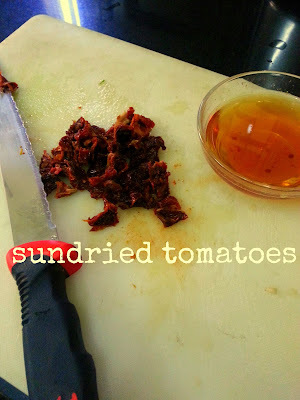 I have used normal sun dried tomatoes, you can buy the ones stored in olive oil too but those are very expensive. Use any vegetables you wish to in this recipe. My other favorite vegetables which go well with barley are peas, broccoli and roasted pumpkins. Barley can be used in soups too. 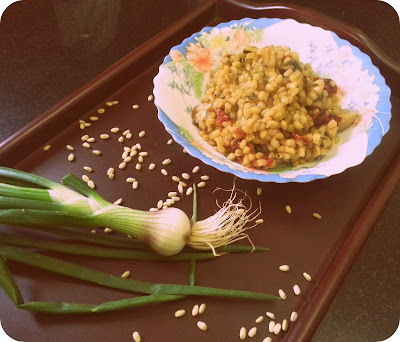 I will soon share my mom's kheer recipe using barley.